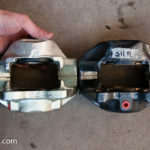 He feels he needs more stopping power, and got ahold of vented front discs for his w114 that i suspect are either from one r107 or perhaps a w126 gen1. 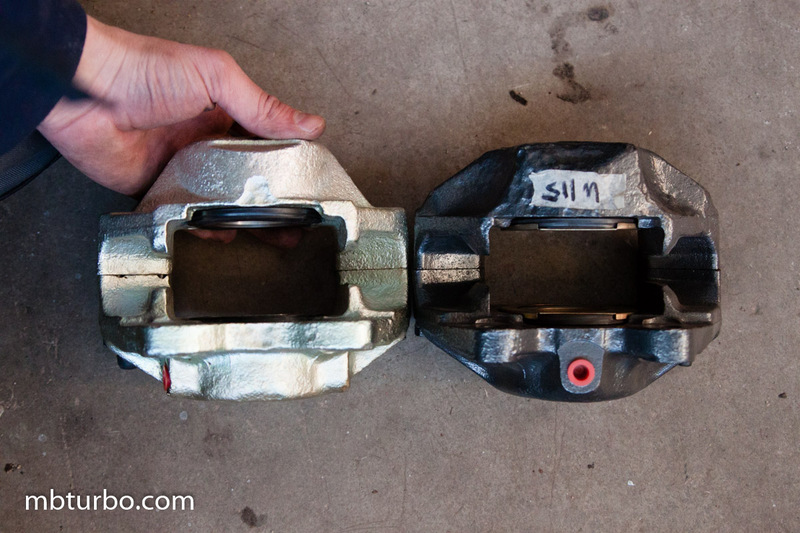 Anyhow, have been thinking about the posibility to do the w126 gen2 brake upgrade on a w115/w114 myself. 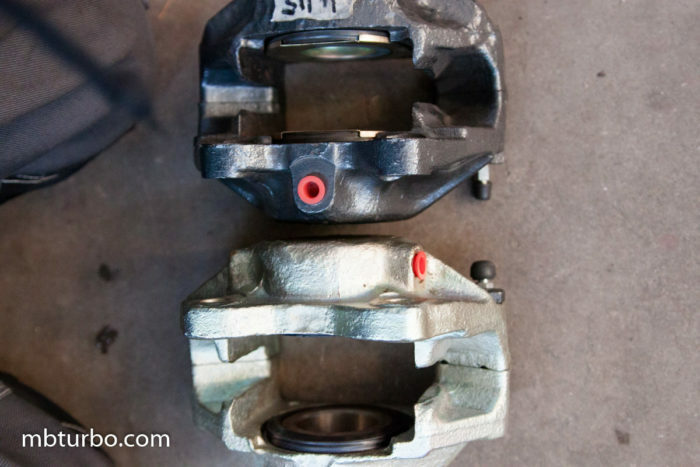 One of the problems is that the caliper sit at the “rear” of the hub on a w123 (and w126) where the w115/w114 has it at the front. one solution to this would be swapping the sides, Left->Right and Right->Left so they can be bled properly. 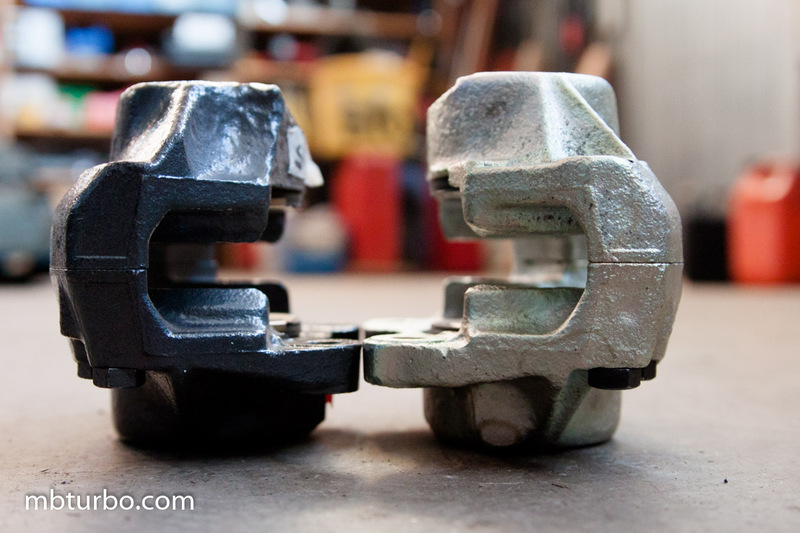 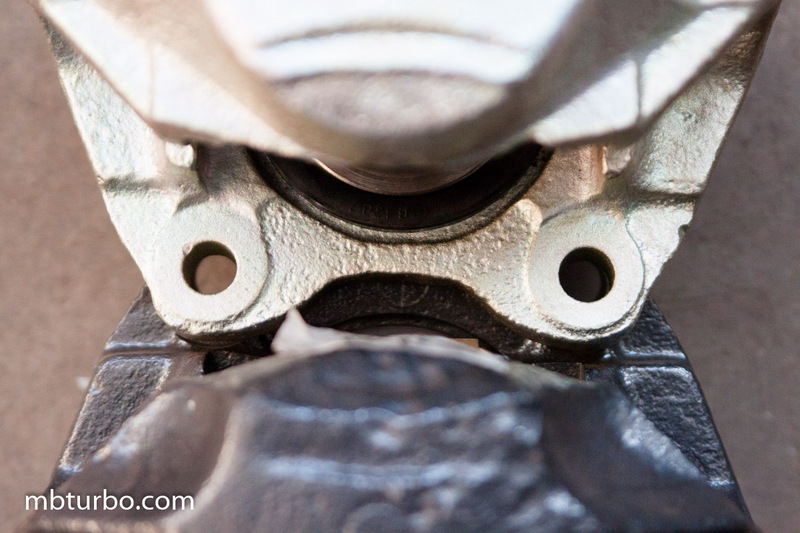 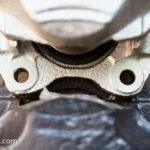 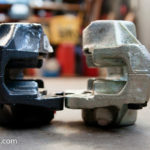 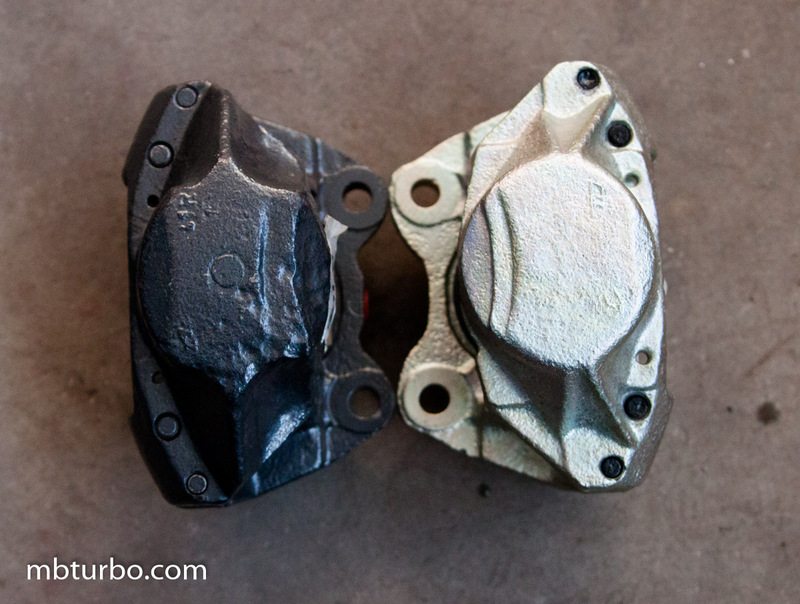 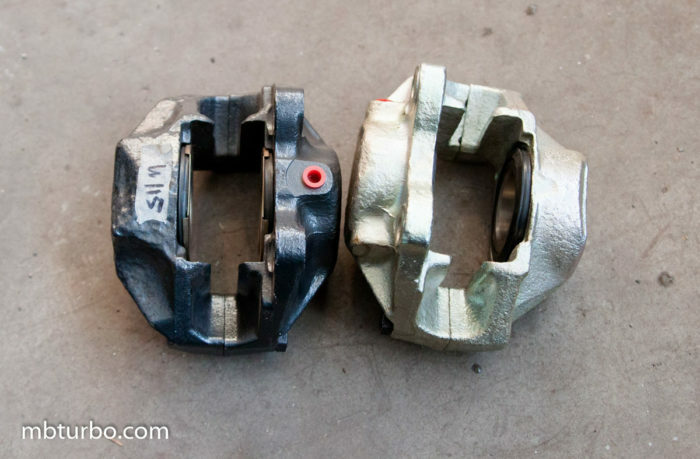 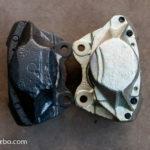 took some photos today to see how different the calipers where, and with eyesight it seems like a much doable project.